Metal Roofing Myth: Is It True That Metal Roofs Dent Easily? Home / Blog / Metal Roofing Myth: Is It True That Metal Roofs Dent Easily? When people first started using metal roofs, they were really only installed over certain types of properties. You would be much more likely to see a metal roof on a factory, warehouse or barn than anywhere else. Luckily since those days, metal roofs have come a long way, and we’ve been able to see that the advantages they offer make them an excellent fit for residential and urban buildings as well. Metal roofs are strong, durable, long lasting and energy efficient. You can even get your metal roof in such a wide variety of styles and colors that you’ll have no trouble finding a roof that fits your home like a glove. In spite of this, there are still a lot of different myths about metal roofing floating around that may put people off even considering a metal roof for their home to begin with. This is a shame, as most of these misconceptions are completely false. From unfounded worries that metal roofs are more likely to be hit by lightning, to the completely untrue belief that metal roofing makes rainfall sound unbearably loud, there’s a lot of misinformation out there. Myth: Metal Roofs dent far too easily! Truth: If you’ve ever been worried that the first hailstorm will leave dents and punctures all over your metal roof, we’re happy to tell you that you can stop worrying now. Metal roofs are extremely durable, capable of sustaining wind gusts of well over 100 miles per hour, so they aren’t going to dent due to a light hailstorm. In fact, in many high hail areas of the country, some insurance companies actually offer a reduced rate for metal roofing because of the fact it is so damage resistant. This doesn’t mean metal roofs are completely impervious to damage, and if there were a case of extremely heavy hail fall, or large branches, falling on your roof, then they could cause slight damage. However, the amount of damage caused would be significantly less on a metal roof that it would on a traditional asphalt or shingle roof. So, while in extreme cases there may be a hailstorm bad enough to be able to dent your metal roof, the force needed to do so would cause damage to your roof no matter what it was made out of. There is an industry guideline for testing the impact resistance of roofing materials, called the “Standard for Impact Resistance of Prepared Roof Covering Materials” – otherwise known as UL 2218 if that’s too much of a mouthful. The tested products are given a rating from class 1 to 4, with 4 being the most resistant to damage. 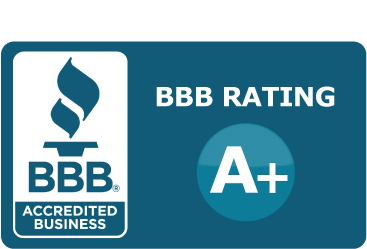 Just ask your contractor if they have the class rating for whatever roofing material you are considering, to give yourself peace of mind.